Andy Rapattoni, co-founder of Rapattoni Corporation, passed away on April 8, 2015, at the age of 75. Andy served as Chief Executive Officer and Chairman of the Board for Rapattoni Corporation, and became an industry icon in the world of organized real estate in the 45 years he headed the company. In 1970, Andy and his wife, Niki, founded Rapattoni Corporation to provide cutting-edge technologies to the real estate industry. Beginning with just the two of them in Westwood, California, near UCLA, the company grew to almost 200 employees and currently retains a large staff to service Realtors® throughout the country. Rapattoni Corporation has continued to provide software products and services to customers throughout the United States for over 45 years. Its Rapattoni software is used by more than 200,000 real estate professionals, and its association management software customers represent more than 80% of the nation's Realtors®. Mr. Rapattoni has received recognition for his contributions to the industry and for being a visionary. In 2009, he was named one of the 100 Most Influential Real Estate Leaders by Inman News, one of the leading sources of independent real estate news and information in the United States. Joining Andy on this list were Craig Newmark (founder of Craigslist.org) and Ben Bernanke (Chairman of the Federal Reserve Board). The mascot for Chaffey High School is the tiger and in 2010 Andy was selected as the Chaffey High School Alumni Tiger of the Year for his contributions and achievements, and gave the baccalaureate address to the graduating seniors. Andy was also named one of the "200 most powerful people in residential real estate" for 2013 and 2014 by Swanepoel Power 200 (SP200), a research service that analyzes over 1,000 industry leaders in residential real estate every year. Andrea (Andy) Rapattoni was born in 1939 and grew up in Ontario, California. He met Niki Brown in high school in 1956; they became sweethearts and married in 1960. He attended Chaffey College, Los Angeles City College, California State University LA, and UCLA, where he majored in engineering and minored in business. 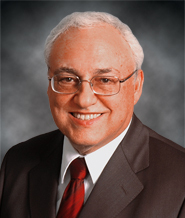 Mr. Rapattoni began working in the real estate industry in 1965 as a commercial real estate broker. In 1968, he joined Realtron Corporation of Detroit, Michigan, the first computerized real estate multiple listing service vendor in the world. Outside of work, Andy and Niki engaged in many philanthropic ventures and patronized a variety of small theatre groups, providing them with funding and equipment. In 1990, together they established the Ralph Rapattoni Memorial Watercolor Scholarship at Cabrillo College in Santa Cruz. The scholarship was created in honor of Andy's brother, who was a talented watercolor artist in California. The scholarship is awarded each year to a promising watercolor artist at Cabrillo College and is funded by Andy and Niki. In addition, they established an annual scholarship to be awarded to the outstanding graduating student in the drama department at Chaffey High School in Ontario, California, where they both attended school. Andy had a passion for driving and restoring cars. Over the years, he rebuilt a 1934 Ford, restored two Ferraris, and raced Formula Fords and Karts. During the 1980s Andy served as a judge at the Newport Concours d'Elegance, a popular car exposition showcasing the world's greatest vehicles. His wife, Niki, remarked, "Andy's positive spirit and vision were an inspiration to all who knew him. He is the lion in our logo, his philosophy was to ‘do the right thing,' and he lived by the quote ‘From every adversity comes the seed of a greater benefit.' We were sweethearts and best friends for almost 60 years, married just shy of 55 years, and ran our company together for nearly 45 years. We had a wonderful life." Bob Hale, President and Chief Executive Officer of the Houston Association of REALTORS® in Houston, Texas, said, "Andy was a man of his word with an exceptional understanding of real estate association management, where he pioneered and expanded his vision to help drive the industry forward. His partnership relationship made working with him a joy and I will miss his sincere friendship." Tom Beede, President and Chief Executive Officer of MetroList Services, Inc., in Sacramento, California, recalled, "I've known Andy since June 1977 when I went to work for Rapattoni Corporation selling terminal service under contract for PRC in Sacramento, CA, and we were so successful that within a year PRC bought out Andy's contract. Andy first introduced the new computerized MLS technology in Northern California to what was then the San Jose Board of REALTORS®. The Sacramento Board of REALTORS® was the second installation. It was Andy's enthusiasm, optimism, and integrity that made that project work as well as his very successful creation of computerized association management software. MetroList has used Rapattoni Magic AMS for over 25 years and we were one of his first MLS customers. In recent years I have worked closely with the new generation of leadership at Rapattoni, and it is evident they will carry on his proud tradition. His wife, Niki, says that she has lost her lion. I say that we have lost the industry's Statue of Liberty and guiding light. No one can replace him; we can only hope to treat one another as kindly as Andy treated all of us." Ralph Hoover, Senior Vice President and Chief Operations Officer at Rapattoni Corporation, added, "Andy has been a mentor and father figure to so many of us over the years. His passion, drive, and positive energy will be sorely missed. He has worked tirelessly to foster these qualities in our leadership team so that we may serve our customers the way he would have wanted, and continue to set the standard in the real estate industry." Nicholas Hook, President of Rapattoni Corporation, said, "Over the last several years, Andy has been involved in the high level design for all of our software products. He handed the gauntlet to the leadership at Rapattoni and we are moving forward with those new releases. He knew we were up to the challenge of delivering innovative new visions and moving the company into the future." Andy is survived by his wife, Niki, of nearly 55 years; his sister, Gloria Rapattoni, of Santa Rosa, California, and her three sons; his son and daughter-in-law, Nicholas and JoAnn Rapattoni, three grandsons, and a granddaughter.